For most elections, we are reminded that it’s time to vote when a ballot arrives in our mailboxes. 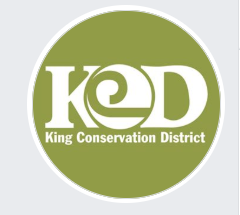 But for the election of the King Conservation District Board of Supervisors, you will have to request a ballot to cast a vote for the upcoming March election. The Conservation District Board of Supervisors assist and guide the Conservation District’s activities in Washington state and are responsible for local conservation projects in our communities. The King County Conservation District serves 34 cities and 2 million people – and they have a huge role in protecting our environment. Voting, especially in local elections, is a critical way to ensure your voice is heard. Learn about the candidates running for this important position. Make sure to request your ballot now, and vote before Friday, March 29!